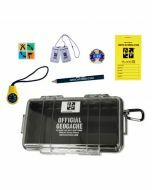 This Aqualock™ Geocache Box is ready to hide! 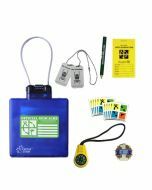 You just need to find that special place to hide to start getting favorite points with this mix of necessities, SWAG and trackables! 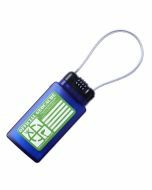 These high quality lockable hard cases from our friends at Seattle Sports can be used to secure your geocache or to create a fun puzzle cache! These containers are made to stand up to the elements, but are not water proof. 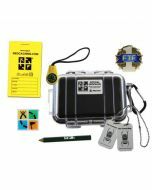 They do come with a high quality sealable bag for your log book. 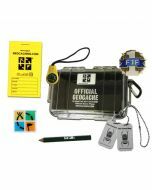 The Small Aqualock™ Geocache Box measures approximately 5.75 inches x 3 inches x 1 inch. 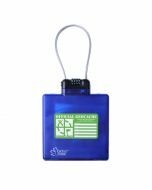 Instructions are included to create a personal code.